This is a great time of the year. Whenever a new year kicks in, we like to indulge our curiosity by shaking things up and exploring new territory. Sometimes we uncover something totally new and off-the-beaten path, and other times we re-discover special places that we forgot about. 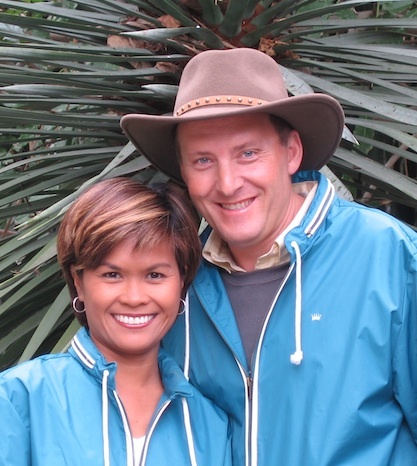 That was the case a few weeks ago when we were roaming around Bankers Hill, a quiet charming neighborhood that actually inspired us to start our tour company back in 2003. We love this area because it’s got a great vibe and whenever we’re here, we always meet the most interesting people. Take for example Marshall Arts Glass. This is a cool glassblowing studio run by a friendly guy named Marty Marshall. He’s been blowing glass for 18 years so he’s like a walking encyclopedia filled with all sorts of unusual stories. His studio is a hidden gem because it’s tucked away behind his house so it’s understated. The last time we stopped by, Marty was conducting a glass blowing class so our tour group got an impromptu lesson. It was an unexpected surprise! Downtown is another area we love to wander around and get lost in our thoughts, especially after a long day of running back-to-back Scavenger Hunts. 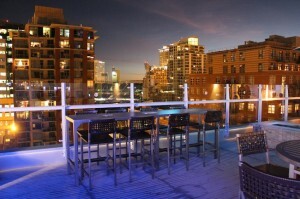 During one of our recent casual strolls, we found ourselves at Level 9, Hotel Indigo’s cool rooftop bar. If you’ve never been here, now is a perfect time to check it out. The rooftop lounge just got a makeover and the upgrades are amazing. For those of you who are familiar with Level 9, they did away with the grassy area and fountain and replaced it with a hip looking bar, swanky furniture, outdoor fire pits (it feels wonderful on a chilly night) and high definition flat screen TVs. And oh yeah, don’t forget about that incredible views of Petco Park and Downtown. Dog lovers will be happy to hear that the hotel’s popular “Canine Cocktails” event will continue through the winter months. This monthly event is a cool way for dog owners to meet and mingle while getting their Happy Hour fix. Special doggy snacks are provided for your four-legged guests and several dog-friendly vendors are usually on the scene offering everything from diamond-studded leashes to outrageous outfits for your pooch. The next Canine Cocktails events are Jan. 17 and Feb. 7 from 5 – 8 p.m. Raise the woof! On the other side of Downtown is something we’ve wanted to check out for the longest time but for some reason, could never make happen. Until now that is. 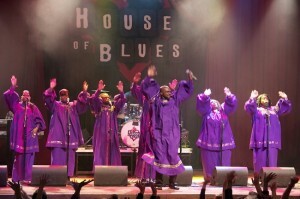 The House of Blues Gospel Brunch is a wonderful way to kick off a Sunday. The two-hour live show is uplifting, energetic and highly entertaining. Guests are encouraged to get out of their seats and groove to the music. Over the years, Tom Ham’s Lighthouse has hosted countless weddings, reunions & other special events. It also has one of the finest downtown views. This long time locals’ favorite is undergoing a major renovation and will be closed for the next several months. Share a memorable story (photos are encouraged) about this restaurant for a chance to win four tickets to a Saturday Downtown Scavenger Hunt. Email entries should be sent to tours@wheretours.com and must be received by February 28, 2013. We are excited to see this popular restaurant reopen!